Geist! Page 46 – Geist! 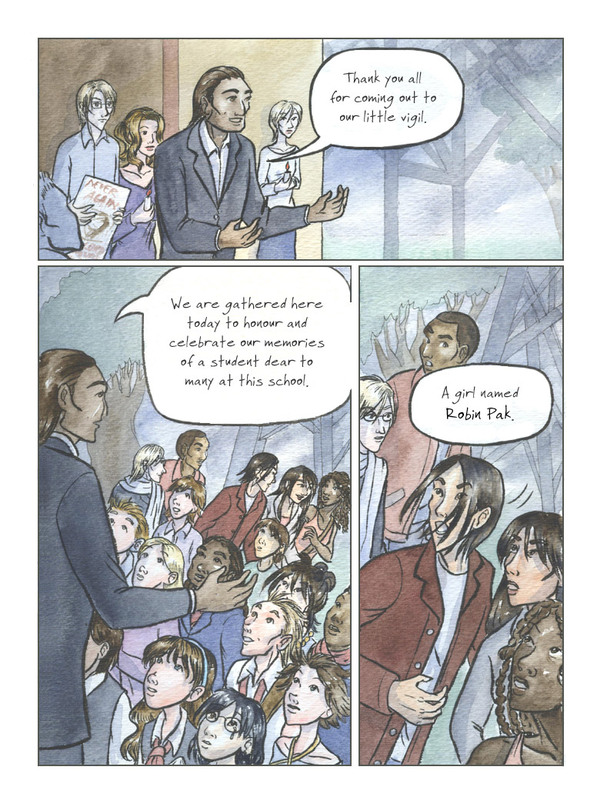 You can all figure who Robin Pak is, can’t you? If you haven’t been paying attention or it’s just been too long, this page and this one might help. Because this doesn’t seem like a very effective “We hope she’ll get better” event…. She’s in a coma, but hope is not high for her recovery at this point. whose the bespectacled maiden out front and why is she crying? That’s Jenny, a friend of Robin. what is the world like beyond the school?are Geists, Geist hunting, Taboos and cursed people all the iminent subject of study? All this Geist stuff definitely affects the world at large, though it’s not the only thing people study. There’s a little info about it under Setting if you’re interested in getting the bigger picture.